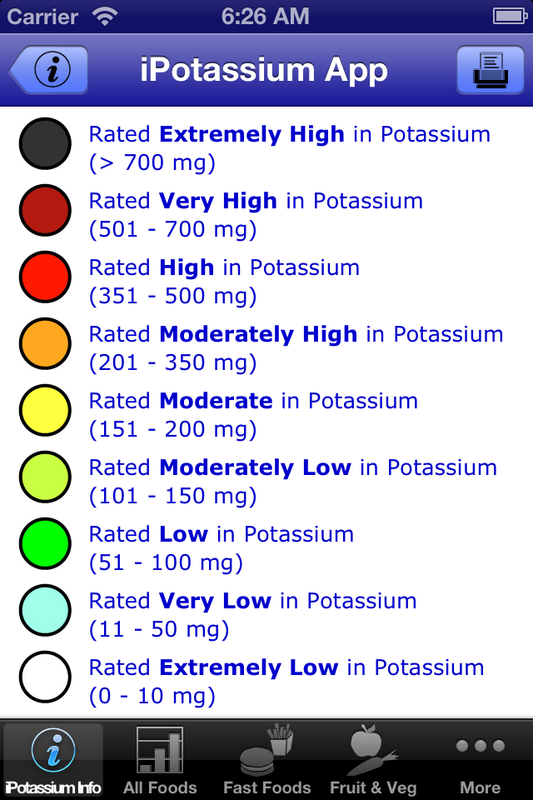 If you are working towards healthy eating, knowing the amount of potassium in the foods available for consumption can be extremely helpful. 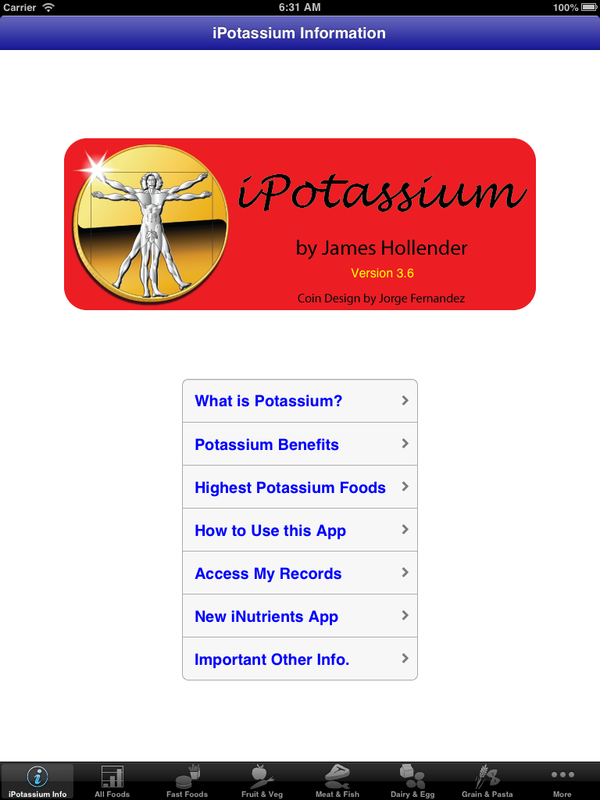 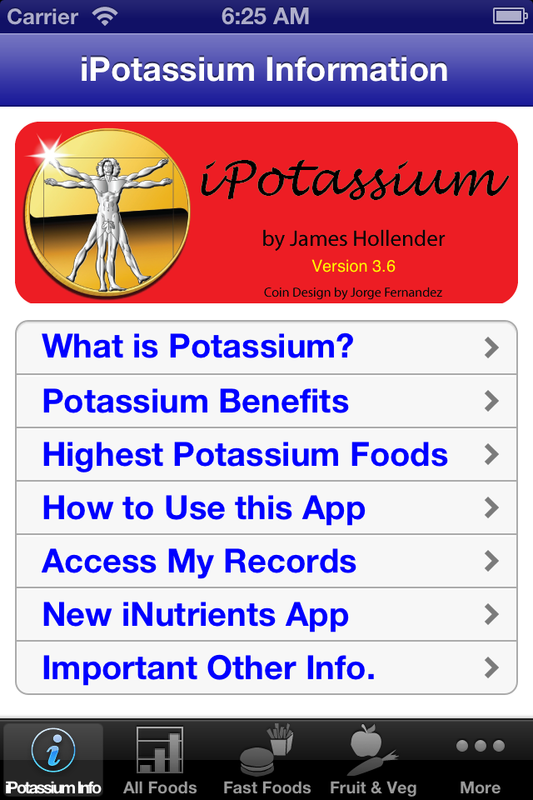 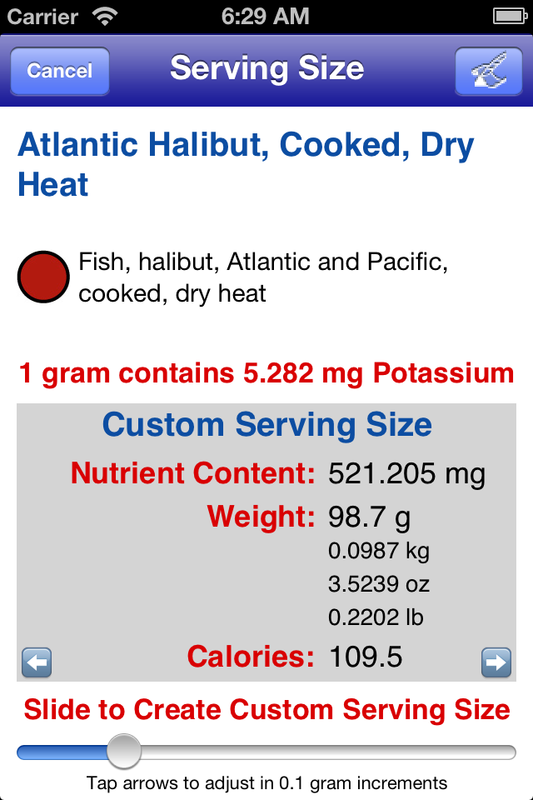 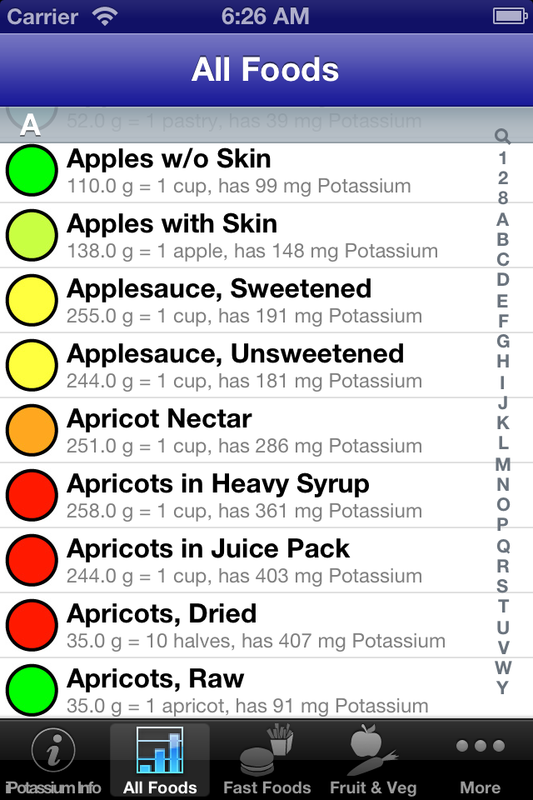 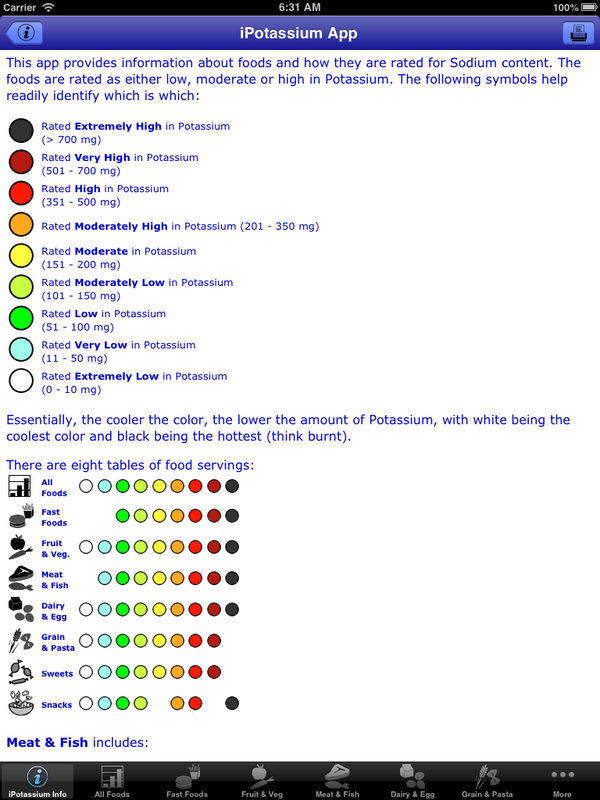 Information is derived from the USDA National Nutrient Database for Standard Reference: Potassium Content of Selected Foods per Common Measure. 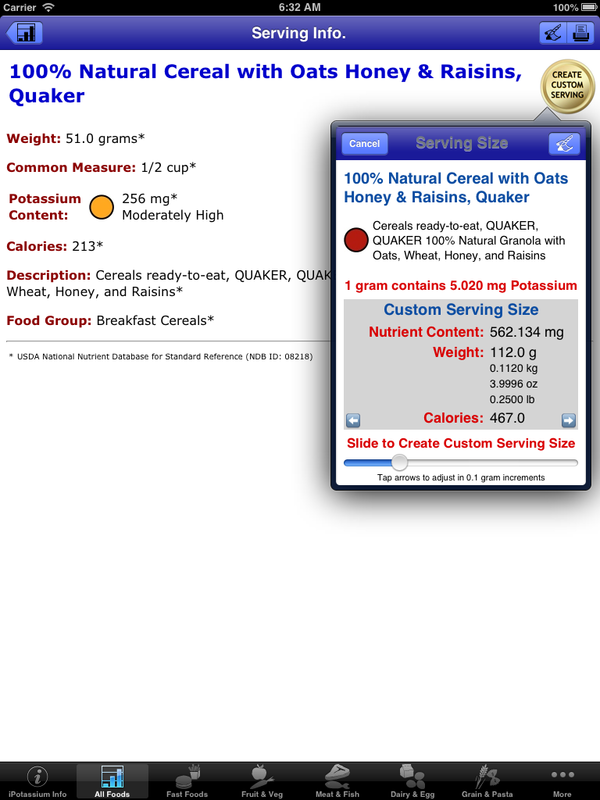 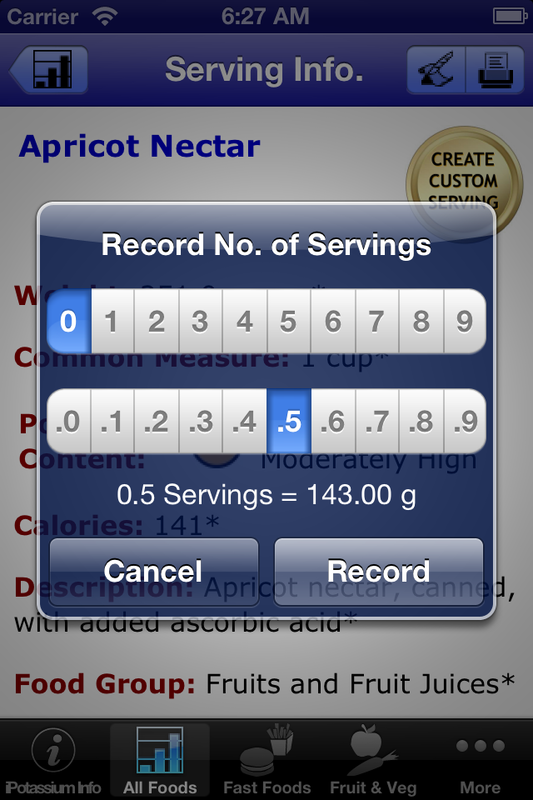 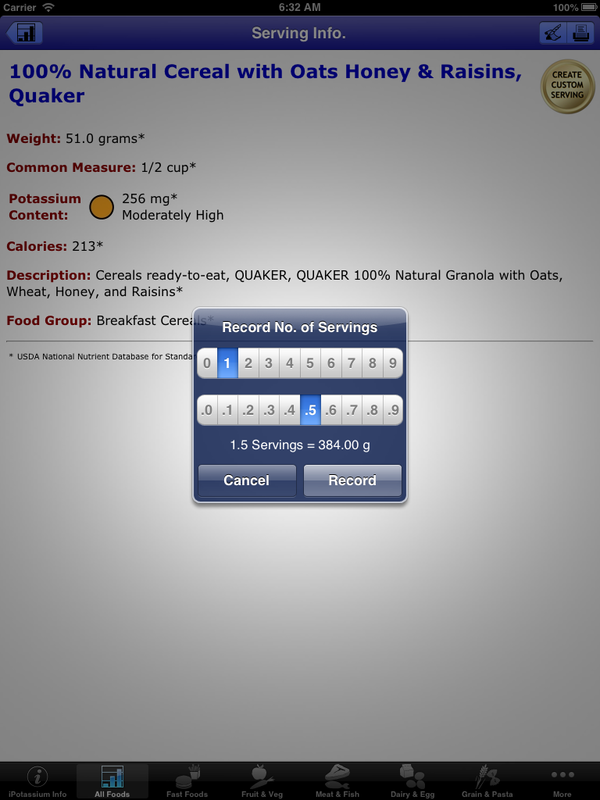 There are currently over 1,100 different food servings included, searchable using more than 2,500 names (some foods are known by different names or how they are prepared, e.g., "Egg, Scrambled" and "Scrambled Egg"). 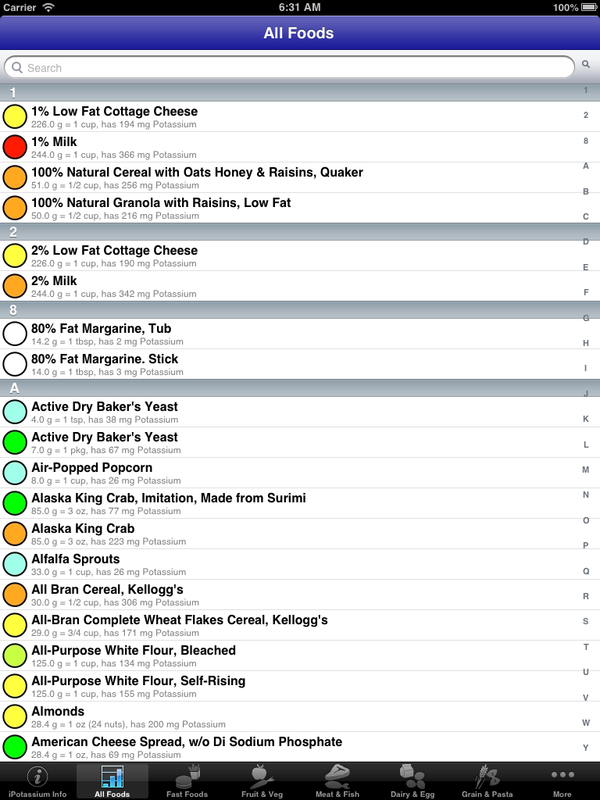 A few these have as many as six searchable names.